Medium 350g by East End. This luxurious North Indian dish combines the freshest onions, tomatoes and other mouth watering ingredients together with only the most flavoursome spice combinations. A traditional dish that will leave you wanting more everytime. Made with fresh ingredients in an open pan, artisan cooking kettle. 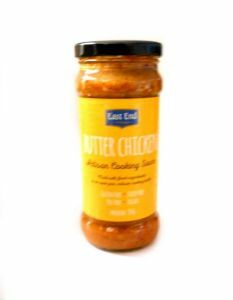 Add approx 400g of cooked or uncooked chicken, meat or veg, plus 1/8 jar of water. 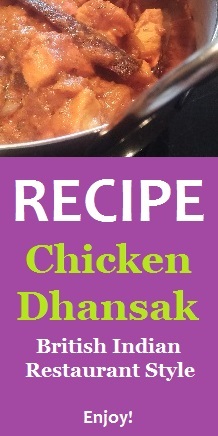 Simmer until ingredients are cooked, then serve with rice, naan or chapatis. onions, tomatoes, water, rapeseed oil, garlic, ginger, spices (coriander, chilli red, cumin, turmeric, salt, musk melon, mustard, fenugreek leaves, dried ginger, black pepper, dried onion, cardamom, cinnamon, fennel, cloves, nutmeg, mace, cardamom green, asafoetida), salt, fresh green chilli, coconut cream, citric acid, cumin seeds.